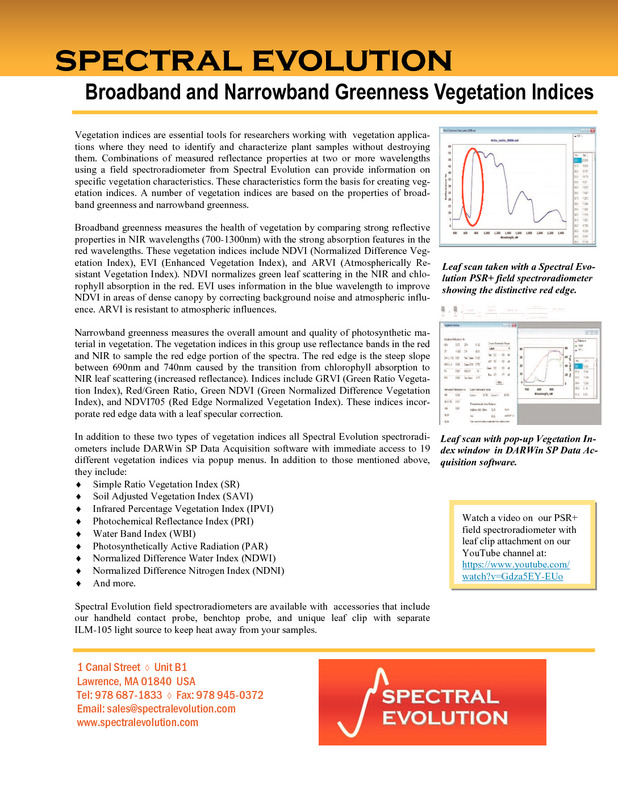 Broadband greenness measures the health of vegetation by comparing strong reflective properties in NIR wavelengths (700- 1300nm) with the strong absorption features in the red wavelengths. These vegetation indices include NDVI (Normalized Difference Vegetation Index), EVI (Enhanced Vegetation Index), and ARVI (Atmospherically Resistant Vegetation Index). NDVI normalizes green leaf scattering in the NIR and chlorophyll absorption in the red. EVI uses information in the blue wavelength to improve NDVI in areas of dense canopy by correcting background noise and atmospheric influence. ARVI is resistant to atmospheric influences. Narrowband greenness measures the overall amount and quality of photosynthetic material in vegetation. The vegetation indices in this group use reflectance bands in the red and NIR to sample the red edge portion of the spectra. 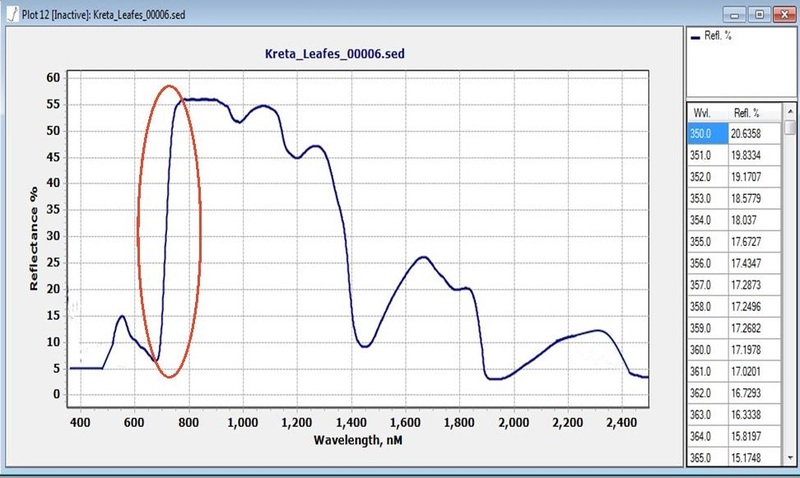 The red edge is the steep slope between 690nm and 740nm caused by the transition from chlorophyll absorption to NIR leaf scattering (increased reflectance). Indices include GRVI (Green Ratio Vegetation Index), Red/Green Ratio, Green NDVI (Green Normalized Difference Vegetation Index), and NDVI705 (Red Edge Normalized Vegetation Index). These indices incorporate red edge data with a leaf specular correction. 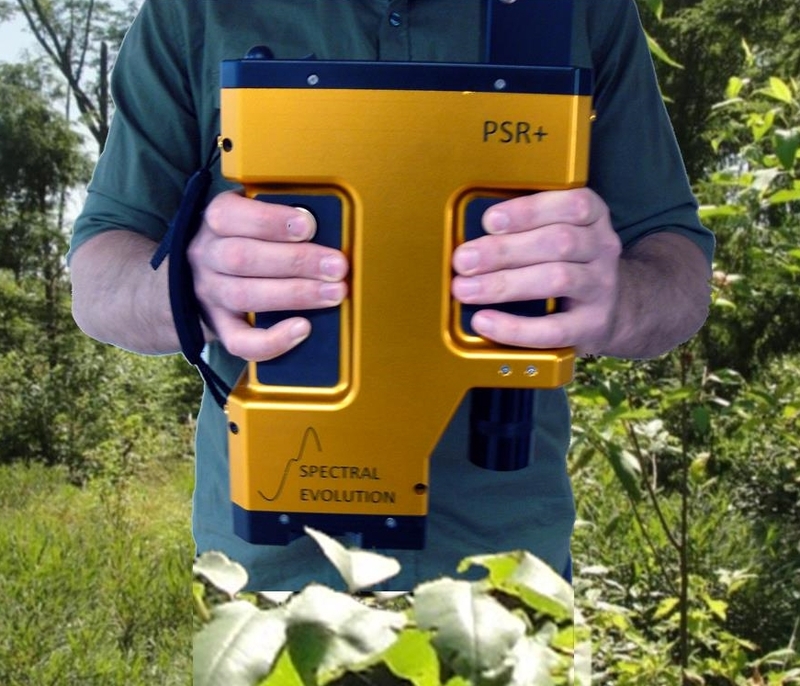 Spectral Evolution field portable spectroradiometers run DARWin SP Data Acquisition software with access to more than 19 vegetation indices through pop-up menus. Researchers can select those indices that will work best for the measurements they want to take and the vegetation characteristics they need to identify and monitor. From the DARWin SP screen, a scan showing the distinctive red edge in vegetation spectra. 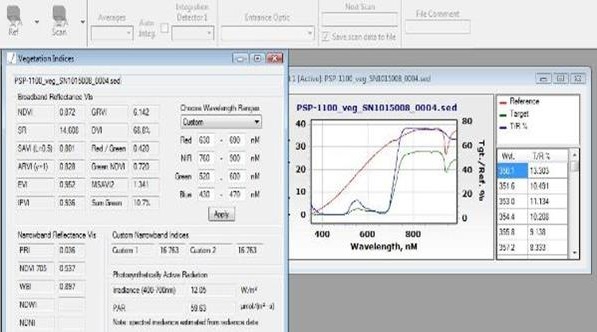 The size, shape and wavelengths where the red edge is positioned can provide important information on plant species identification and plant health. From the DARWin SP screen, the 19 vegetation indices including NDVI are accessed via a pull down menu.